This is a subject that I absolutely love and could talk about for hours so I am going to try really hard to keep this from becoming an epic tome and write something that is insightful, informative and inspirational. There are three ways to explore this stunning country, self drive, fly in or fully guided. By far the most common of these is self driving maybe mixing in elements from the others in order to reach more inaccessible parts of the country. 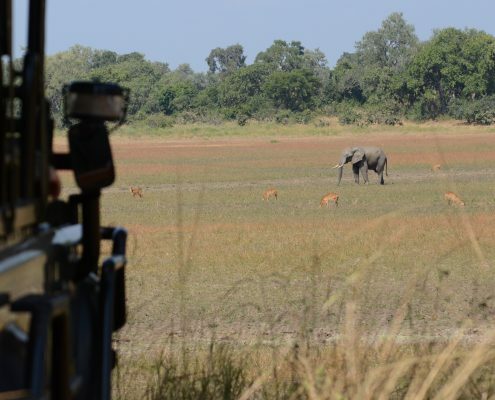 In this blog we are going to concentrate on self driving, however, if you’re interested in a tailor made Namibia safari using any method of travel then get in touch and we can help. Namibia is an amazing country to take on your first Africa self drive holiday, it is the easiest and safest country to explore on your own, it is fantastic value for money and you can pick from a wide range of properties varying in style and price point. 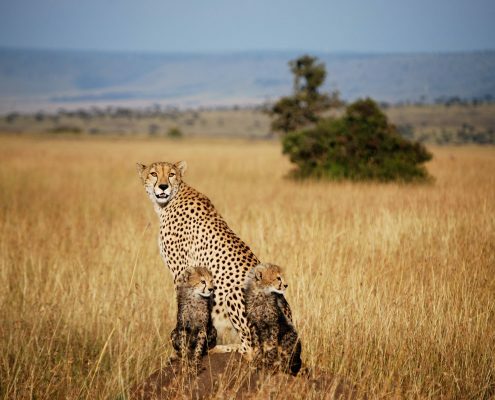 To talk about your perfect tailor made Safari call us today on 01747 445060 or send us an email. This country is scenically beautiful and varied and driving through is just an amazing part of this journey. 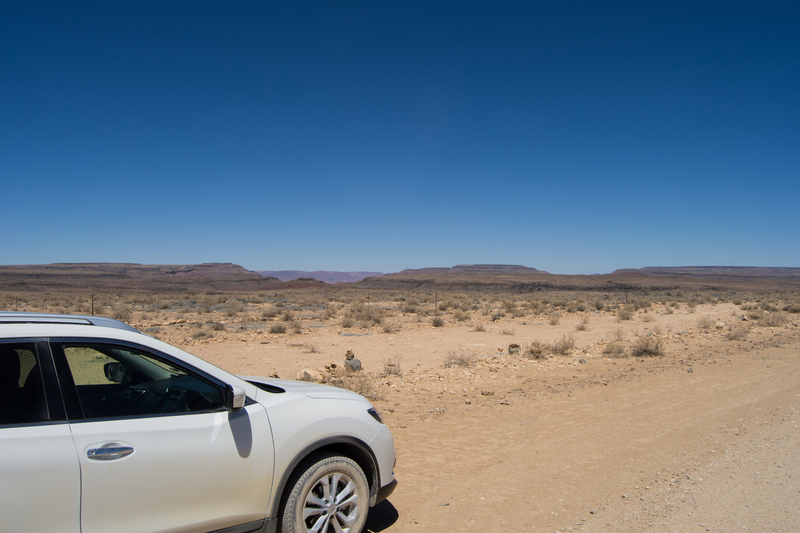 The questions we are asked most frequently when people are considering a self drive holiday in Namibia are to do with the roads, driving conditions and navigation. The roads are predominantly graded and unmade, B roads make up the majority of road network and are usually wide and well maintained, some can be corrugated but are easy to drive on, it is important to keep driving smooth and speeds under control, locals may drive these roads at high speeds but we suggest taking your time and allowing a little extra time for the sake of being safe. There are a handful of tarmac roads that are really well maintained and a pleasure to drive on but will only really be used when on a couple of major cross country roads. Similarly you will use some D roads when approaching some of the more remote properties, at some times of year these require a 4×4, however, they can often be easily passed using a SUV such as an X-Trail or Rav4. For these allow more time and drive steady and they do not cause a problem, in fact they add some interest to the adventure. As there are so few roads in the country and the distances so great we find this a really simply country to navigate around, I have only ever used a standard paper map for Namibia and found this more than adequate for getting around. There is a great official Namibia Tourist Board map which is available all round the country, you will receive a slightly smaller version of this from us with your driving directions and itinerary so that you can pre plan your route in the exciting build up to your trip. It is also now possible to download segments from Google Maps and use your phones GPS without using mobile data so this is a handy back up which we suggest, just in case you take a wrong turn or if you are not used to reading a map. When it comes to vehicles we always use something with higher ground clearance such as the Nissan X-Trail, for most itineraries this is more than enough. However, if getting further off the beaten track, travelling close to the rains or if you are a little apprehensive then I would say that the extra cost for a 4×4 is an upgrade worth considering. The cost upgrade can be a bit hefty but its something to think about for the sake of your confidence and comfort. I would reiterate that even if you take a double cab or large 4×4 I would still maintain sensible speeds, having a similar car to the locals does not mean that you will get away with driving like them. This is the exciting part but I am not going to go into too much detail as I don’t want to spoil all the fun. We have a few example itineraries on the website to give you some inspiration but as with all of our trips the best thing to do is to get in touch and start building something specifically for you. There are so many great properties as well as both private and public campsites, we can construct a luxury self drive staying at all the countries top properties or we can put together an incredible value camping itinerary in a 4×4 with a pop top tent for you to feel that complete sense of freedom and adventure… or indeed why not combine the two, spend a few days on the road and staying in simple campsites and then have a treat for a few nights in a stunning lodge or camp. 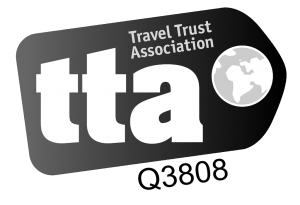 Click here to see some of our example itineraries. To explore the main highlights of the country we would advise that you allow two and a half weeks, rushing is not sensible and there is so much to do and experience in this country. 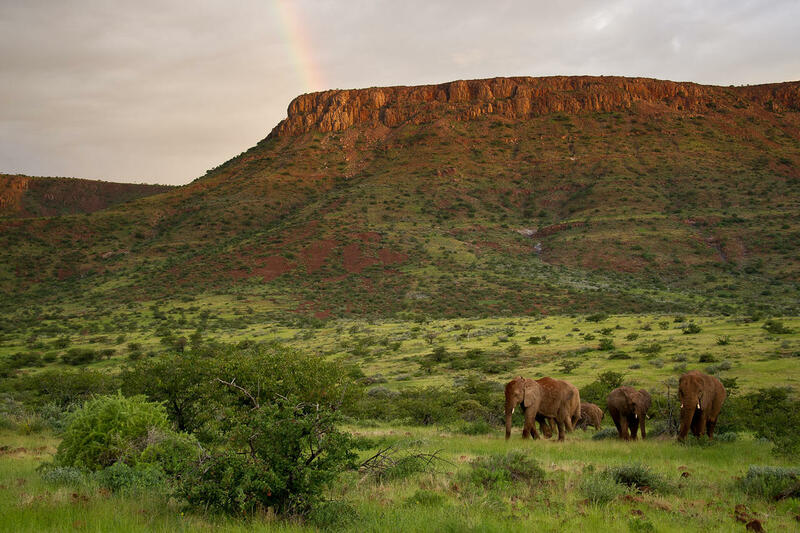 If you are short on time then concentrate on specific areas, if you are interested in wildlife then focus on the northern part of the country or if you want to see the iconic sights visit the South with the big red dunes of Sossusvlei, the Fish River Canyon and the ports of Swakopmund and Walvis Bay. 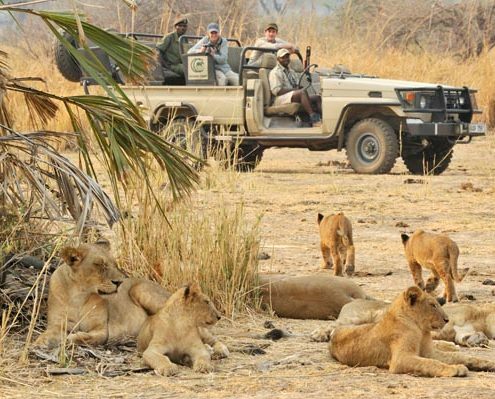 If you want to get off the beaten track or this is a return visit to Namibia then head north and explore Damaraland on a guided camping trip or travel to the Caprivi Strip a lush and green part of the country which borders Botswana. All in all this is an incredible destination and somewhere that I really love, for both our clients and for myself. If you would like to hear more about a self drive or any other sort of Namibia holiday get in touch.